Since I was at home this weekend for my cousin’s son’s birthday, I figured it was a great chance to check an item off the list of 30 Foods to Cook before 30! I thought it would be fun to start with something I haven’t tried making before and poached eggs fit the bill perfectly! After doing some research, I decided to go with Alton Brown’s recipe. When it comes to the technical aspects of cooking, Alton Brown is definitely one of my most trusted sources for recipes. I love that he explains the science behind cooking in a way that’s super easy to understand. 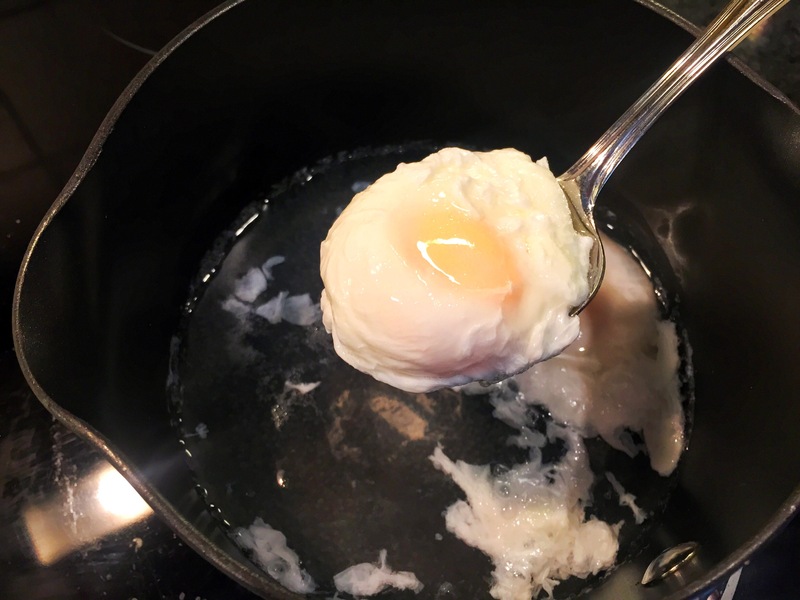 I have to admit that poach eggs definitely seemed a bit intimidating, but I was amazed at how easy it was if you followed the instructions. While poached eggs on toast is definitely delicious, since I was making them for Sunday breakfast for Tori and our dad, I definitely wanted to kick it up a bit. 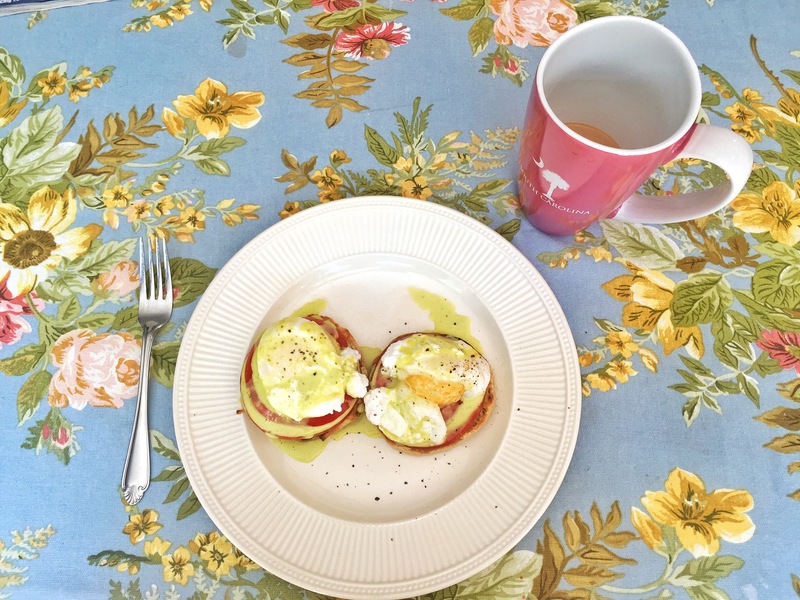 I’ve never been a huge fan of hollandaise sauce (although to be fair I’ve probably never had a good hollandaise), so I typically stay away from Eggs Benedict. 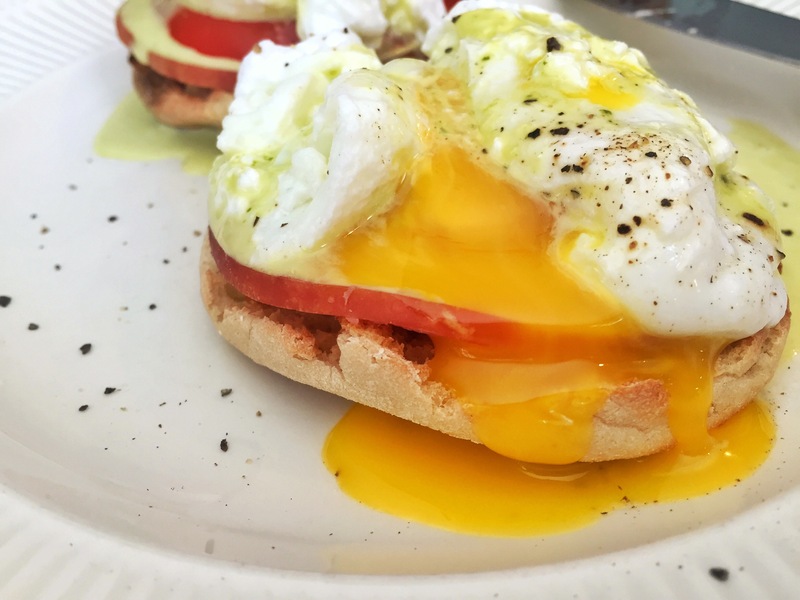 When I saw a recipe for Caprese Eggs Benedict, however, I knew I had to give it a try with the fresh Jersey tomatoes I had picked up at a local farm on Friday. The one thing we weren’t quite sure about was the mozzarella. From a texture perspective, it just didn’t seem to fit quite right so we decided to leave it out and add in Canadian bacon instead. It turned out better than I could have hoped! It was the prefect summertime twist on a classic. 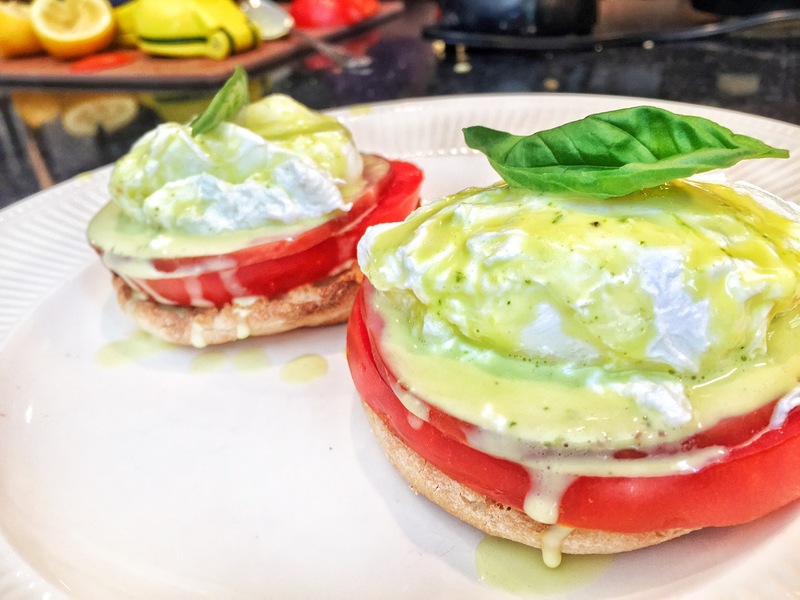 The basil hollandaise, while a bit intense in basil flavor on its own, tasted amazing with the fresh tomato, poached egg, Canadian bacon, and English muffin! The eggs were also cooked perfectly (although if you like them a bit on runnier side you might want to reduce the cooking time to 4.5 minutes). I cooked them two at a time just in case something went wrong, but next time I will definitely try using a larger pot to cook a few more at a time. This recipe has a good shot at being our go-to summertime favorite for years to come! I can’t wait to make it again! I’m also happy to be over my fear of poaching eggs and am excited to try them in all sorts of ways other than breakfast like recreating the Prosciutto wrapped Asparagus with Poached Egg appetizer we had in Charleston! Hopefully the next 29 foods in the 30 Foods to cook before 30 challenge go as well as this one! Be sure to keep an eye out for #30foodsby30 to make sure you don’t miss them!